Back to work blues? Ditch the meal deal and liven up your lunch hour with super salads, banging banh mi and terrific toasties from the Square Mile's grab-and-go superstars. September in the Square Mile and sun tans are fading, inboxes are overflowing, and distant memories of languid lunches savoured al fresco are replaced by the reality of a cold sandwich scoffed al desko. One surefire way to beat the back-to-work blues is a decent midday meal, and the City’s grab-and-go game has never been stronger. 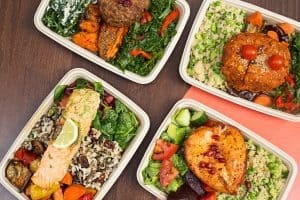 So if you must dine at your desk, ditch the meal deal and treat yourself with our guide to the best takeaway lunches in the City. What do you get when you cross a Gordon Ramsay-trained chef with a food entrepreneur and former executive for Pret and Pizza Express? A brand new eatery attempting to redefine the grab-and-go market. 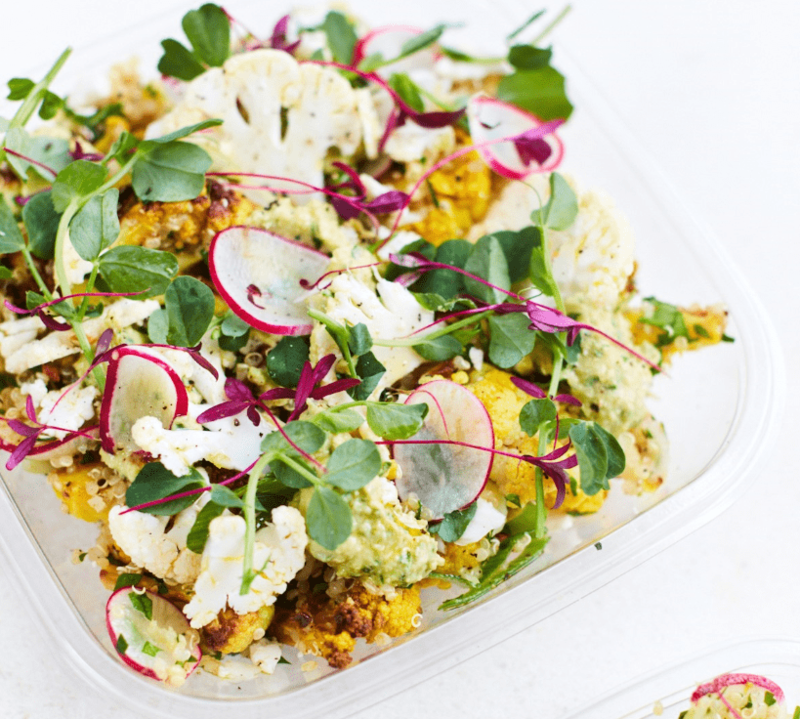 Alfs Super Naturals is chef Angie Steele’s second stand alone eatery after Chiswick favourite Angie’s Little Food Shop, and now she’s teamed up with Harvey Smyth to package up West London’s favourite salads and present them for City convenience. There are around 20 to choose from, each of them a lesson in how to assemble healthy seasonal ingredients and make them sing. The Ralph is a hearty, Middle Eastern-inspired medley of lentils, smokey aubergine, peppers and creme fraiche; the Cooper combines Asian flavours with soba noodles, coleslaw, soya beans, trout and a miso dressing; while the Marley is a pious mix of beans, sugar snap peas and broccoli that packs a punch with a hit of chilli and tarragon. Eat salad while the sun shines, and once winter hits, start on the soup specials – a weekly changing menu of meaty laksas and veggie stews – or the heartier hot dishes like curries and moussaka. The average British worker spends just over half an hour on lunch, but this drops to just 14 minutes in the Square Mile according to former City workers Kristian Hald and Jacob Opstrup. 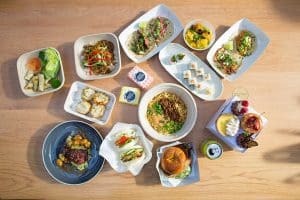 Tired of wasting that precious quarter of an hour each day on all the usual suspects, the duo launched Peel; an office lunch delivery service of indulgent meals cooked daily by Michelin-starred chefs. The menu will remind you of the last time you managed to get to an actual restaurant for a sit-down lunch; succulent tandoori chicken thighs with a nutty brown rice salad, a melt-in-your-mouth slow-roasted lamb shoulder, and pillowy soft beetroot gnocchi stuffed with goats cheese and drizzled with pesto. Mains will set you back between £7.50 and £9, while snacks – gluten-free brownie or Eton Mess – are around £3. The delivery arrives at exactly the time you book it and in biodegradable packaging, though we recommend re-plating up on proper tableware, closing your eyes and spending the next 13 minutes pretending you’re at a very ritzy restaurant. 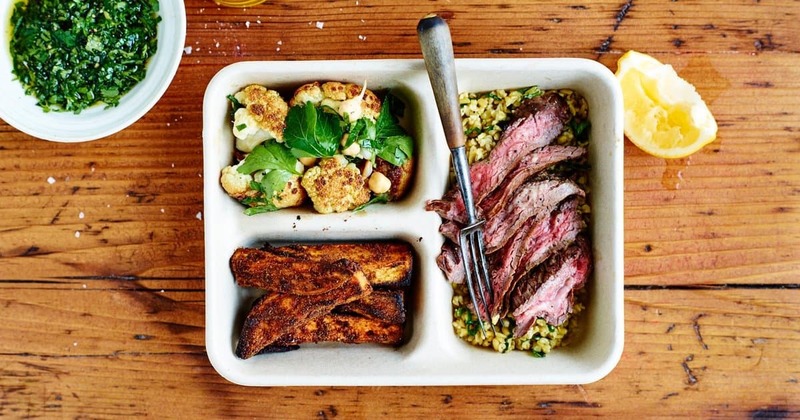 Farmer J’s Field Trays let you mix and match proteins, salads, grains and sides for a new meal every day. If Jamie Oliver is bringing smart school dinners to the Midlands, then Jonathan Recanati could be responsible for revolutionising healthy work lunches in Leadenhall, and it’s all happening on the same cafeteria tray. 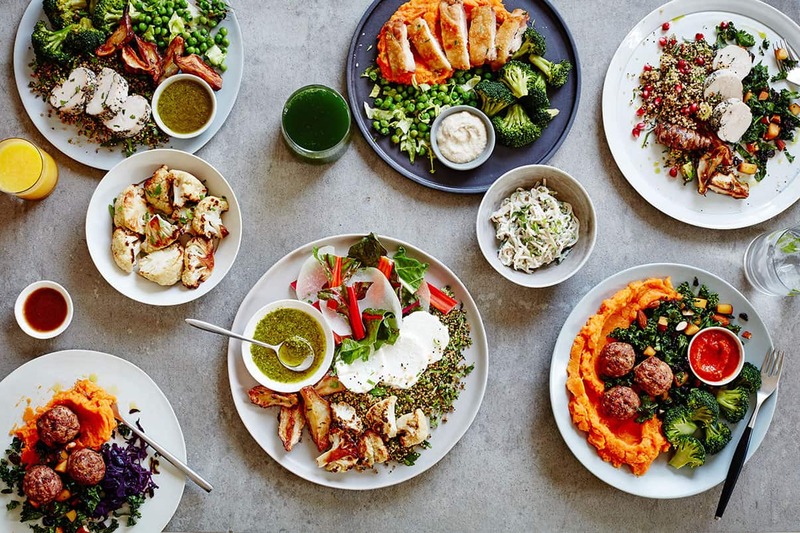 Farmer J is a healthy grab-and-go restaurant famous for its Field Trays; flavour-packed proteins with your choice of grains, salads and sides all dished up in a compartmentalised tray for less than £8. A different day brings with it a different combination: pair your harissa chicken with brown rice, cavalo and bean salad and a tarragon dressing or match grilled salmon fillets with pesto, sweet potato chips and wilted greens. Jonathan says that the main thing he’s learned about the City’s grab-and-go lunchers is that they are willing to walk and wait for something a little bit different. Nonetheless, workers in Monument will be buoyed by a second Farmer J paddock that has just opened up in King William Street. Farmer J 2.0 still dishes up the takeaway breakfasts and lunches, but the much larger site has plenty of room for eat-in diners and will be open late for dinners – a selection of small plates that draw from Middle Eastern, Mediterranean and Asian flavours – and drinks including cocktails and beers, plus kombucha on tap. Eliminate allergens without eliminating taste with Arapina. 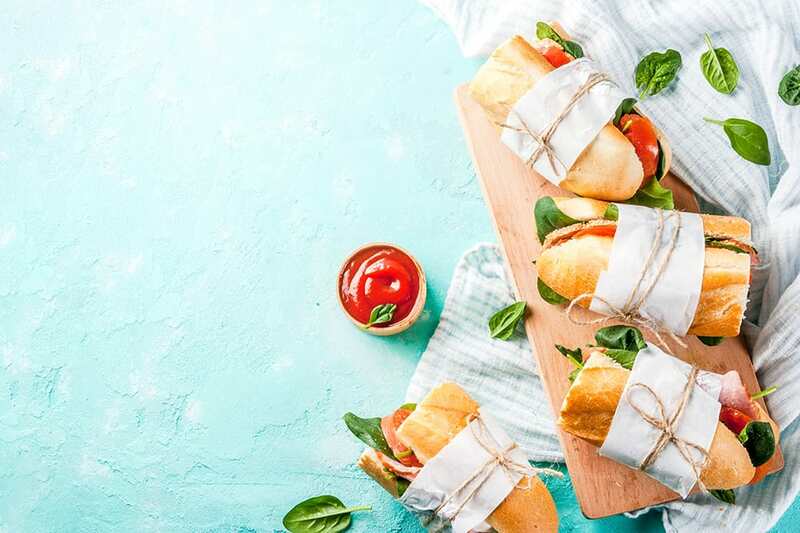 Vegan, vegetarian, gluten-free or dairy-intolerant, we have more dietary requirements than ever before, which makes corporate catering nigh on impossible. 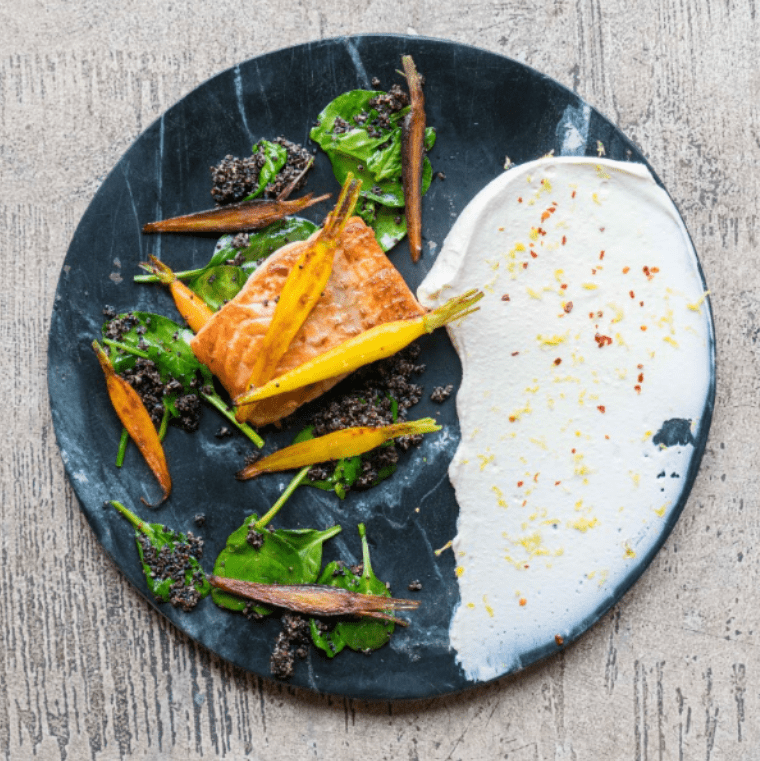 Arapina is a meal delivery service aimed at the growing number of people that have eliminated an allergen from their diet (four in 10 of us, according to market research), but don’t want to eliminate taste. Cue an innovative corporate catering menu based on the Mediterranean home cooking of founder Michaela Pontiki. Picture breakfast briefings over gluten-free granola, late-night brainstorms fuelled by crispy vegan courgette rolls and roast veggie pies, and gluten, wheat and sugar-free brownies to sate the afternoon sugar cravings. Each dish is clearly marked with possible allergens and available alongside a range of regular options to keep everybody in the office happy – or as happy as one can be when they’re working through lunch. Don’t let the midday queues snaking down Ironmonger Lane put you off, City Caphe is a well-oiled machine of authentic Vietnamese street food, dishing up hearty, fragrant phos and light and crispy banh mi with the speed of a seasoned grab-and-go pro. The ‘aunties’ in the kitchen prepare everything fresh onsite; simmering broths, marinating meats and pickling vegetables to produce a healthy selection of lightly spiced noodle soups, baguettes, vermicelli salads, jasmine rice dishes and spring and summer rolls. Go traditional with the classic pork bahn mi; slices of pork and steamed pork terrine with pâté , crunchy vegetables and fresh chilli and coriander in a fresh Hoi An-style baguette or err on the lighter side with lemongrass tofu over vermicelli noodles and a punchy nuoc cham sauce. In good news for workers on the western side of the City, City Caphe’s owners opened a second restaurant in Fetter Lane late last year. Roughly translated, ‘Moi An’ means ‘an invitation to eat’ – don’t mind if we do. Sit in at K10 to watch a broad selection of fresh maki, nigiri, temaki and sashimi sail by. It’s probably safe to say that conveyor belt sushi had its heyday late last century, but the sashimi at K10 tastes as though it jumped out of the water little more than an hour ago so we’ll let it slide. 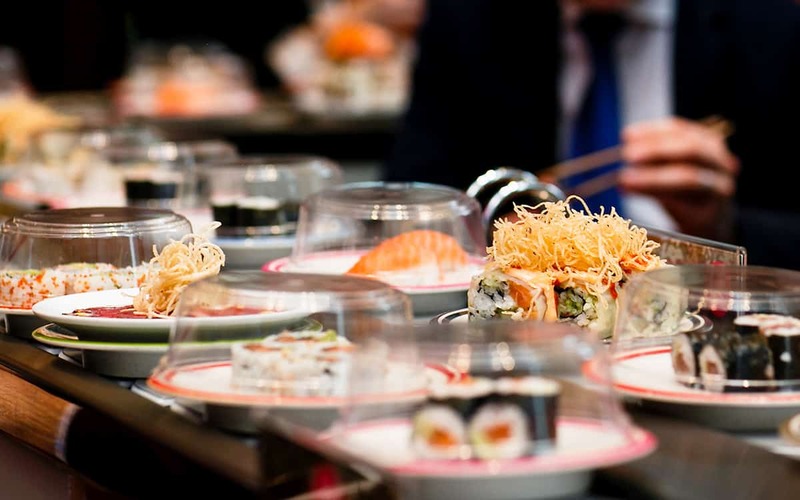 If you have a spare half hour, sit in and watch a broad selection of fabulous fresh maki, nigiri, temaki and sashimi sail by at the restaurants in Broadgate and Mincing Lane, or grab and go from one of their takeaway outlets where a meal deal will set you back a reasonable £6.95. Chicken katsu, teriyaki and a selection of udon dishes are also on offer for those who have a hankering for something hot. 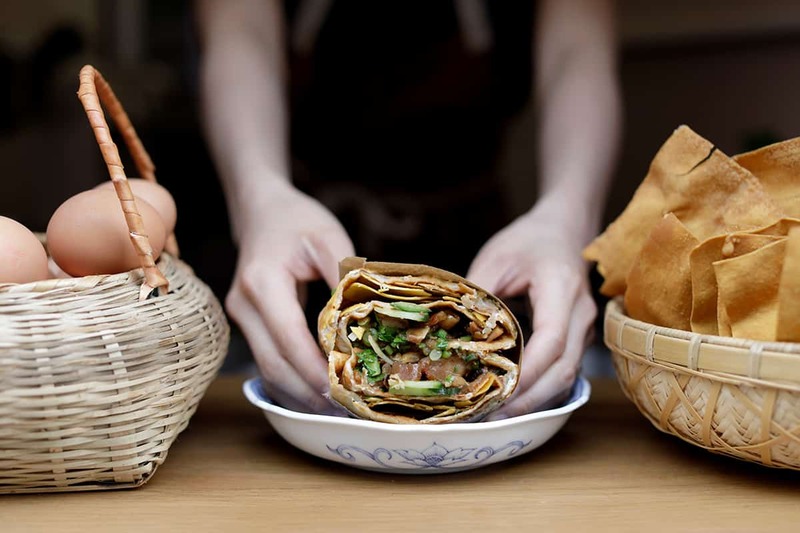 Jian bing is a streetfood stalwart in China. Now Pleasant Lady has brought it to Spitalfields. Is it a kebab? Is it a burrito? No, it’s jian bing, a Cantonese crepe stuffed with marinated meats and fragrant herbs that blows both of them out of the water. Our story starts with a thin wheat pancake crisped up with a coating of egg and cooked on a griddle. Then you add a nutty sauce, chilli oil, herbs, pickled vegetables and protein, fold it up and demolish while it’s hot. In a city dominated by dumplings and bao, it’s anybody’s guess why this Cantonese breakfast staple has yet to make a splash on our street food scene, but it’s a gaping hole that Pleasant Lady is more than happy to fill with your choice of miso chicken, cumin lamb or Iberico char siu pork. Pro tip: If you’re especially pleasant to the pleasant ladies and gentlemen behind the counter at the Spitalfields Market stall, they may even toss in a couple more crispy fried wontons for some extra crunch. 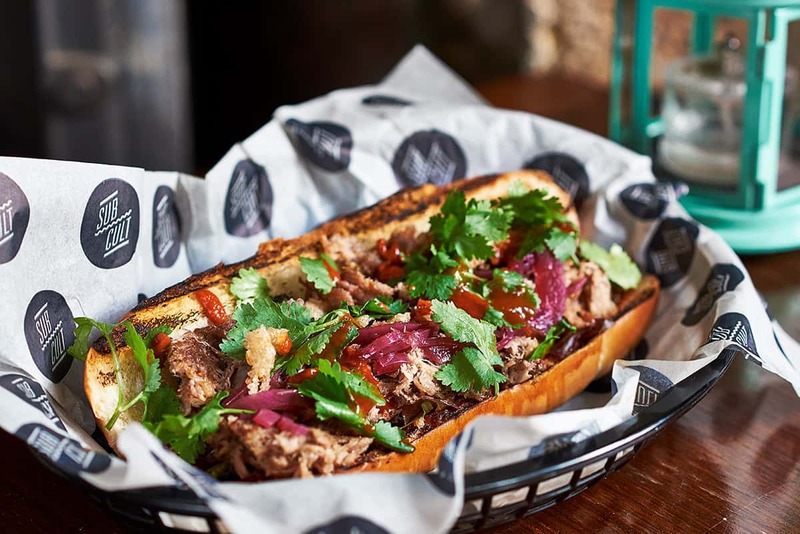 The Dub Sub: slow-cooked pork shoulder, pickled pink onion, jerk barbecue, crackling and fresh coriander. If placing deli meats and cheeses between two slices of bread were an art form, then Sub Cult founders Ben Chancellors and Gaz Phillips would surely be rubbing shoulders with Picasso. The pair created the pop-up lunch spot in the noble pursuit of creating London’s best sandwich, and have succeeded with their range of American-style subs packed with innovative combinations of top quality ingredients. 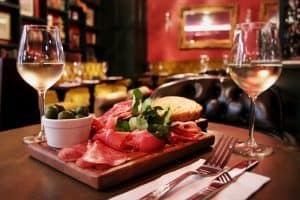 Signature combinations include the Skandi Sub – oak smoked salmon, peppered cream cheese, Parma beetroot kimchi, lemon, dill – Sub Contractor – smoked back bacon, white pudding, free range egg – and The Rodeo – rare roast beef, truffle mayo, Grana Padano, shallot jam and pickled serrano chilli. As with all masterpieces, the secret to success lies with the perfect canvas; a soft USA deli-style sub roll, freshly baked to a secret bagel-brioche dough recipe for perfect consistency and flavour. What are you waiting for? Join the cult. Vita Mojo puts you completely in control of what you’re ordering and how much of each component. Everybody knows ‘low-fat’ labels should be taken with a grain (or a couple tablespoons) of salt. That’s why healthy take-out chain Vita Mojo is taking the guesswork out of grab-and-go, with personalised, made-to-order meals according to your nutritional and dietary needs. Customers order their meal via the app or on iPads in-store, customising the portion sizes of various components to maintain full control over their intake of calories, macros and any potential allergens. Cutting carbs? Swap sweet potato mash for warm red cabbage with your crispy skin chicken thighs. Upping your protein? Throw a few turkey meatballs in with your Sri Lankan dahl. Not sure what you should be doing? Vita Mojo can also offer meal recommendations based on customers’ genetic makeup. Genetic profiling company DNAFit will map a customer’s DNA and their response to things like carbohydrates, salt, fat and caffeine, and any mineral deficiencies, as well as recommending an optimal diet type. Then Vita Mojo adds the data to their profile, advising them which foods to eat more of and flagging which ones to avoid. It is a handy tool if you want to identify the cause of your afternoon sugar crash, although it doesn’t take a rocket scientist to figure out that it’s probably something to do with the biscuits in the break room. Yolk does egg pots for breakfast and hearty sandwiches for lunch. Another contender for London’s best sandwich, Yolk was born of what the owners call “a longing for the perfect eggs Benedict” – and this breakfast staple has somehow evolved into a line of very non-boring baguettes for your lunch hour. Benedict ‘perfection’ takes the form of poached eggs, 24-hour ham hock, hollandaise and cayenne pepper all wrapped up in a flavour-packed pot that is definitely worth setting the alarm early for. Meanwhile, the midday meal brings with it the Steak Bearnaise sandwich with bavette steak, brown butter bearnaise, caramelised onions and rocket. Or the Caponata Parm with aubergine tomato, courgette, olive, caper, mozzarella, parmesan, crème fraîche, fennel, mint and basil. Or the Pork Bun with pork shoulder, kimchi, gochujang mayo, yuzu slaw, pickled apple, peanut and sesame in brioche. Lucky there are five lunches in the working week. Have we missed your favourite lunch spot? Sharing is caring so let us know in the comments below. I've been feeling low - how can I tell if I'm depressed?